Here is a basic Ladakh Itinerary for travelers who are planning to take a flight to Ladakh and have a week in hand to explore this beautiful abode, before flying back to their daily grind. Day 1: Arrival in Leh. It is best to spend first day in your hotel and venture out for a short walk if feeling alright. It is crucial not to over exert yourself on the first day, since Acute Mountain Sickness (AMS) can be quite a killer. 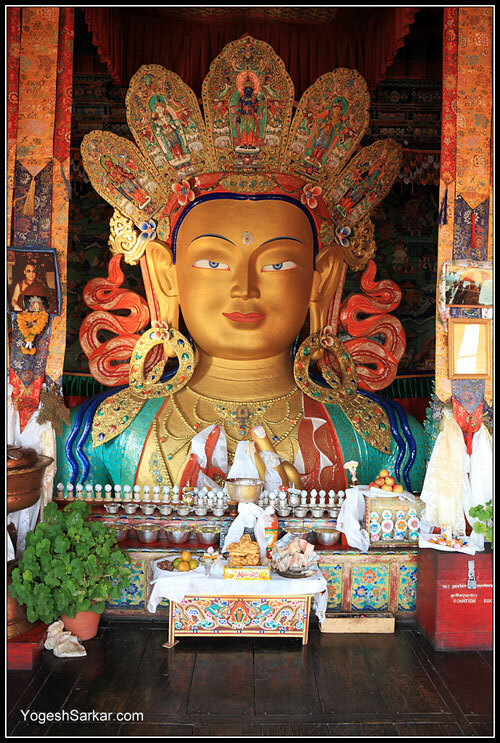 If by evening you are feeling alright, visit Leh Palace or Shanti Stupa. Both provide spectacular aerial view of Leh City. 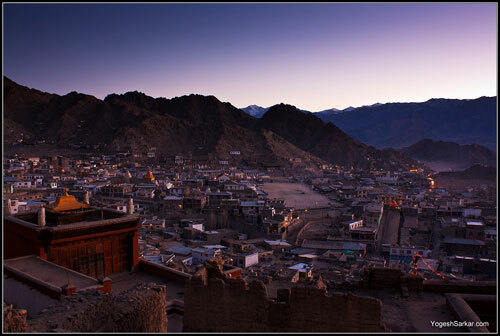 Here is a photograph I took of Leh city at night in December 2012. This is a crucial day, when you will not only do some real sightseeing and venture out of Leh, but also get the Inner Line or Protected Area Permit made for other places. Of course health needs to be the foremost thing in your mind and if you or those traveling with you aren’t feeling well, then it is best to spend another day resting. However if you are feeling well, then Sham Valley Tour will take you on the Srinagar – Leh Highway and you will be able to visit and see places like Alchi Monastery, Likir Monastery, Basgo Monastery, Indus and Zanskar River Confluence, Gurudwara Pathar Sahib, Hall of Fame and Magnetic Hill. Today is the day to visit the famous Khardung La (La means Pass in Ladakhi), which is considered to be the highest motorable road in the world. After crossing Khardung La, you will enter Nubra Valley, the only place in India where the Indian Army not only faces the Pakistani Army, but also the Chinese Army. It is also where the highest battle field in the world, Siachen Glacier at an altitude of over 18,800ft (5,700+ meters) is located. In Nubra Valley you can spend the night at Diskit, Hunder, Sumur or Panamik, all of which are equally beautiful and worth visiting. For the sake of itinerary, let’s assume you will stay at the town of Diskit, which is also the district headquarter of Nubra Valley. Apart from a quick photograph and a cup of tea at one of the highest cafeteria in the world at Khardung La, you will be treated to the ever changing views of the beautiful Nubra Valley, as you make your way to Diskit. At Diskit you can visit the beautiful Diskit Monastery and head to Hunder in the evening for a view of famous Sand Dunes of Nubra Valley. Before starting your journey back to Leh, you can visit Hunder Sand Dunes (if you hadn’t yesterday) and take Bactrian Camel ride, before making your way to the beautiful town of Sumur, followed by a quick visit to Panamik (while it isn’t as charming, however the journey from Sumur to Panamik is certainly nice and scenic). After visiting Sumur and Panamik, it is time to head back to Leh for your night stay. Today is the day you visit one of the largest and most beautiful high altitude lake in the world, Pangong Tso. Situated at an altitude of around 14,000ft, Pangong Tso is 134km long, with little over one third of it falling in India and two thirds being on the Chinese side of LAC (Line of Actual Control). From Leh you will take the Leh – Manali Highway till the town of Karu, where the road bifurcates into two, with one heading to Manali and the other leading up to the second high altitude pass of your trip, Chang La. En route to Karu, you will see the famous Druk White Lotus School, where part of Three Idiots was shot, along with Shey Palace and Monastery and Thiksey Monastery (you will visit these later in your trip). After reaching Chang La and visiting the Chang La Baba Temple and having a glass of warm water and tea at the cafeteria run by the Indian Army, it is time to start the descend to the first major town on the other side of Chang La, Durbuk. This is where the sole mobile phone tower of the valley is located, so it is best to call your loved ones while you have the connectivity, which normally only reaches as far as the town of Tangste, a place for quick lunch break, before the final push to the enchanting Pangong Tso. At Pangong Tso you can stay at Eco Huts in Lukung (at the beginning of the lake) or head over to the village of Spangmik for night stay at one of the home stays or the only luxury hotel in the vicinity of the lake. 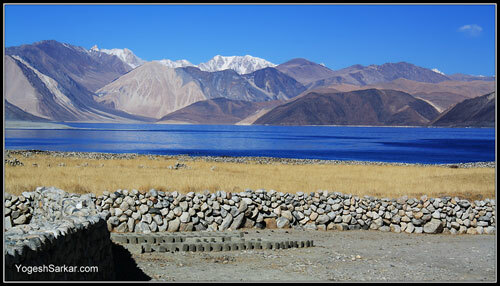 Home stays are also available at towns of Man and Merak, which are located much further along the Pangong Lake. If in case you are visiting Ladakh in winter, then spending the night at Tangste is a much better option. 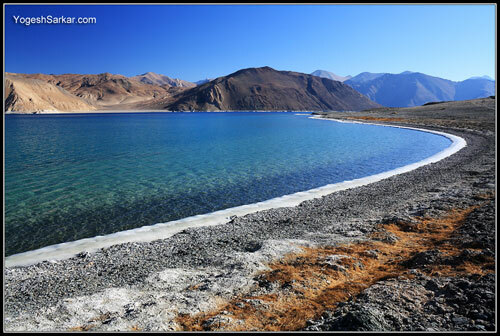 Pangong Tso is also the place where the climax of 3 idiots was shot, along with several Indian and International movies and songs. After a wonderful and in all likelihood, a chilling night stay along Pangong Tso, it is time to head back to the town of Leh for the night. However, before that, if you do not mind traveling on rough terrain, then visiting the villages of Man and Merak would be a great idea, as it will not only give you more photography opportunities, but also a chance to see the grandeur and magnificence of Pangong Tso, away from the crowd. 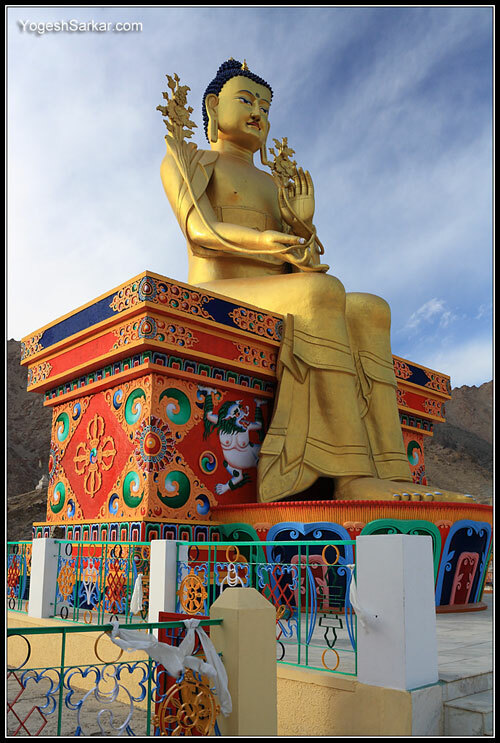 Since this is your last day in Leh, it is best to spend it by visiting Hemis, Shey and Thiksey Monasteries, along with a bit of local sightseeing and shopping in Leh. Since this will not only give you a chance to unwind a bit, but also have a buffer day in hand to deal with delays, that can occur, while traveling in a beautiful yet rugged place like Ladakh. Today is the day you say farewell to beautiful land of Ladakh and take the early morning flight back to your home, with a resolve to return once again and explore more of this beautiful and wonderful part of India :). Above itinerary can be done all year around, unless Khardung La and/or Chang La are closed for a few days due to heavy snowfall, however in winter be prepared to face temperatures as low as -30 degree Celsius. 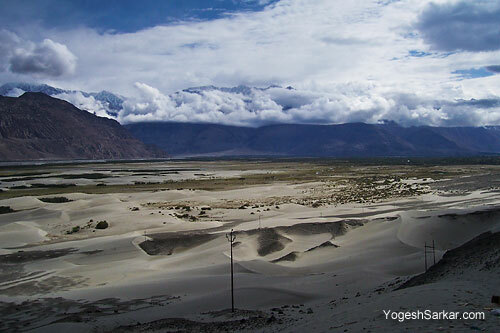 There are several variance of the above itinerary that you can do, depending on the number of days in hand, including visiting Nubra Valley and/or Pangong Tso as day trip to save a day or taking the Wari La route from Nubra Valley to Pangong Tso or adding Turtuk to the itinerary or other places like Tso Moriri, Hanle, Zanskar Valley etc. 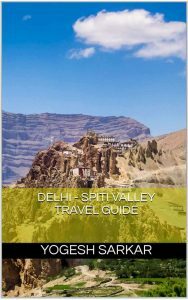 for which you can get free advice at BCMTouring’s dedicated Ladakh Itinerary Section. 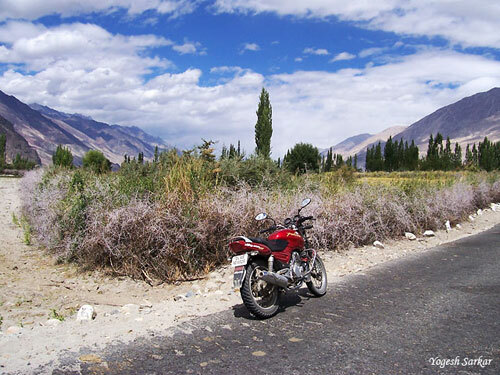 Transportation: Above itinerary can be done in hired taxis or hired motorcycles, which are easily available in Leh. However motorcycles aren’t available for rent in winter. Check the following link for more crucial information you may require for your trip to Ladakh, including updated cost of taxis in Ladakh and hotel reviews, All you ever wanted to know about traveling to Ladakh. You can download the above itinerary in RTF format (without images and can be opened in all document viewers) for future reference and print, click here to download the text version. 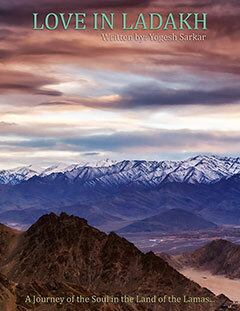 I am heading for Ladakh during july 2013 for the Markha valley trek. I booked a very early morning flight. Can you suggest a budget hotel near Delhi airpoirt Terminal 3.